Welcome to the Dancing Chick Jam site! For over thirty years I have been making the most fabulous jams and jellies. I use all local produce, found here in Virginia. All the jams and jellies are made the old fashioned way, small batches, fresh produce and lots of love. I offer a variety of jams and jellies from the classic Chunky Strawberry to the Sweet Hot Pepper that is served most deliciously over cream cheese. A specialty of the Dancing Chick Jams is the most amazingly wonderful and fabulous Fig. Other seasonal highlights include Damson Preserves, where the plums are picked and packed at the peak of freshness. My Mixed Berry Jam is 'jammed packed' with blackberries, raspberries and blueberries and is always a big hit! A frequent request and big fan favorite is my Strawberry/Rhubarb Jam, sweet and yummy. Besides these, I offer the seasonal regulars...Blackberry, Blueberry and Raspberry. In addition, I am always introducing and offering short runs of premier jams and jellies such as Elderberry, Mulberry, Boysenberry, Black Raspberry, Pear and Sour Cherry. 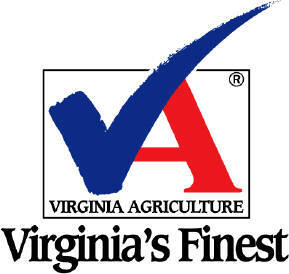 All of my Jams and Jellies are certified by Virginia's Finest and the Virginia Department of Agriculture and Consumer Services. To ensure that your Jam and Jelly needs are constantly met, I also offer special orders where you can purchase, ahead of time, the seasonal jams and jellies that you would like me to put aside for you to ensure there availability before they sell out.